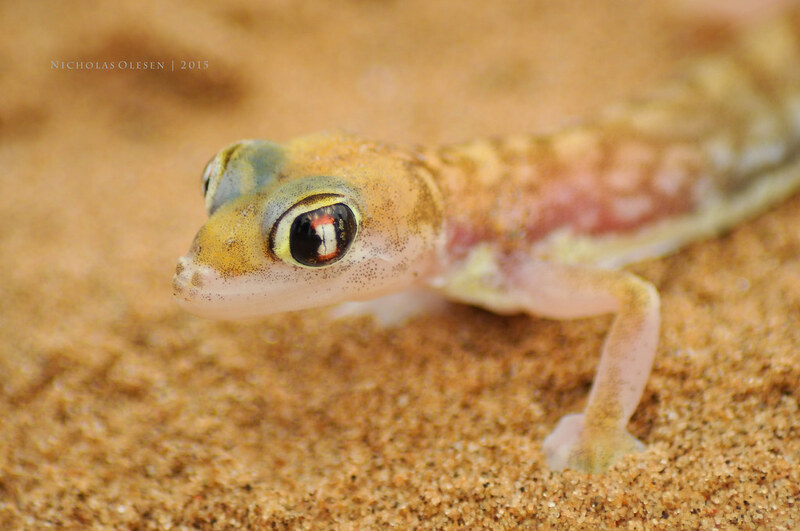 Hiddenvlei is located near Sossusvlei in the Namib desert in southern Namibia. 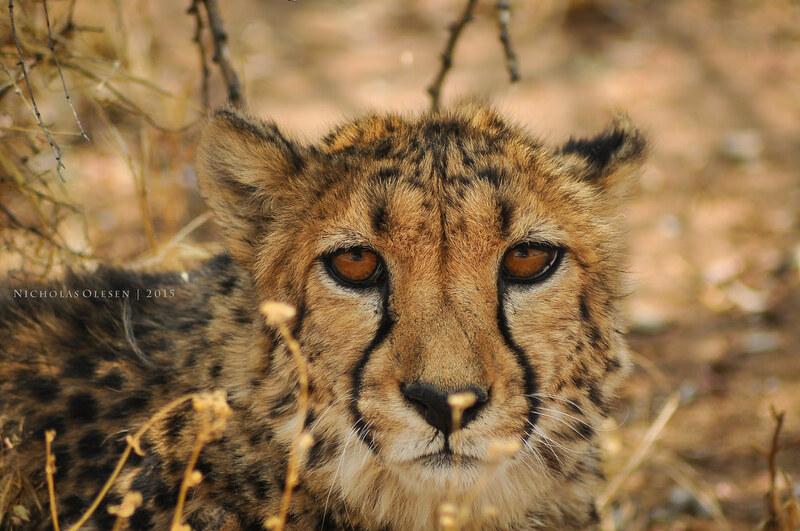 The word “vlei” comes from Afrikaans and means “marsh”. 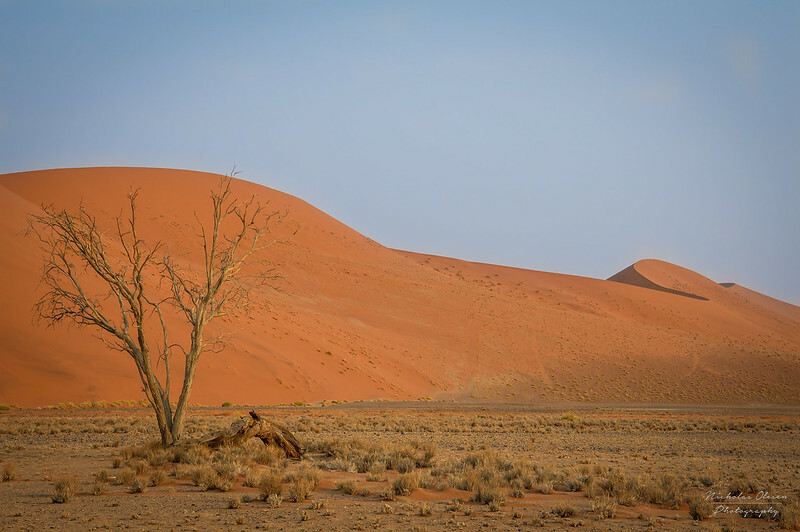 There are several “vleis” around Sossusvlei – the main ones are Sossusvlei, Deadvlei, and Hiddenvlei. These were all wet salt and clay pans at one point, but over time have dried up, leaving behind surreal landscapes. This picture was shot at Hiddenvlei in the afternoon, with one of the beautiful twisted trees standing in front of a sand dune catching the late afternoon sunrays. 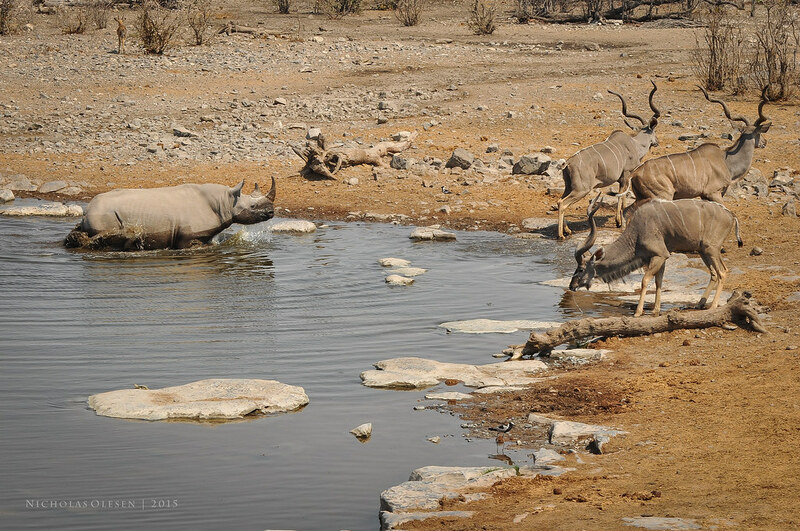 A black rhino chases a group of male Kudus away from his water at the Moringa waterhole in Etosha National Park. 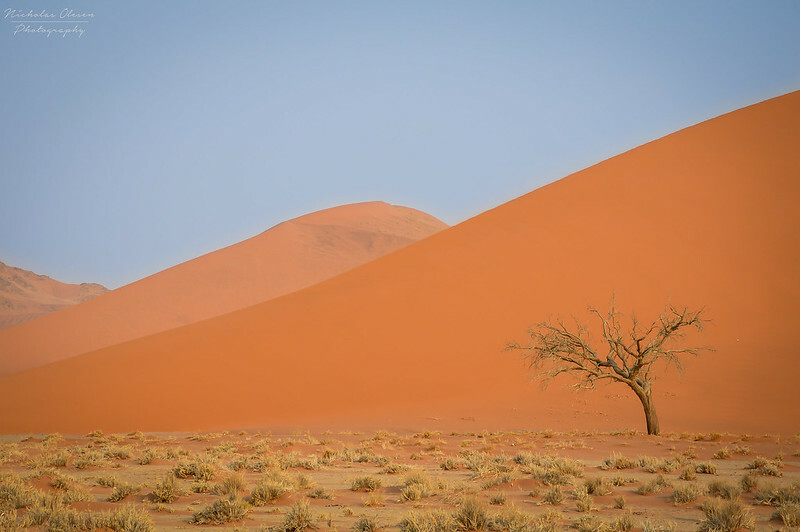 Dune 45 is a famous sand dune located in the Sossusvlei area of the Namib Desert of Namibia. 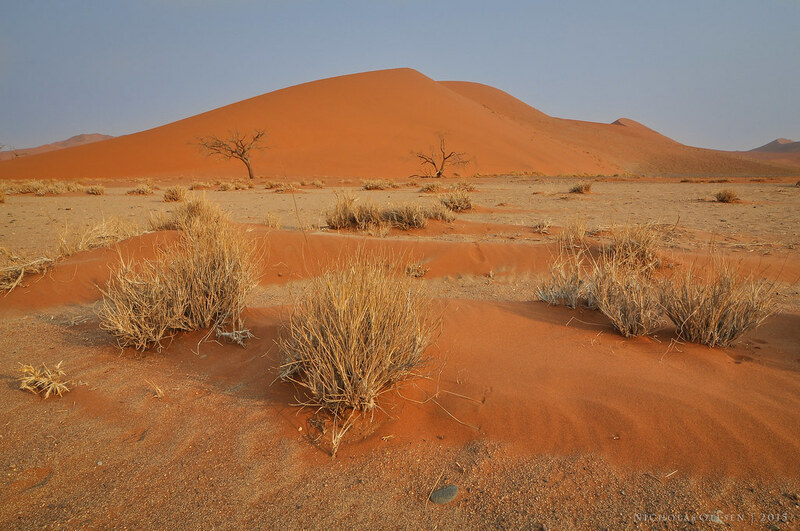 It is one of the most popular dunes to climb in the Sossusvlei park. 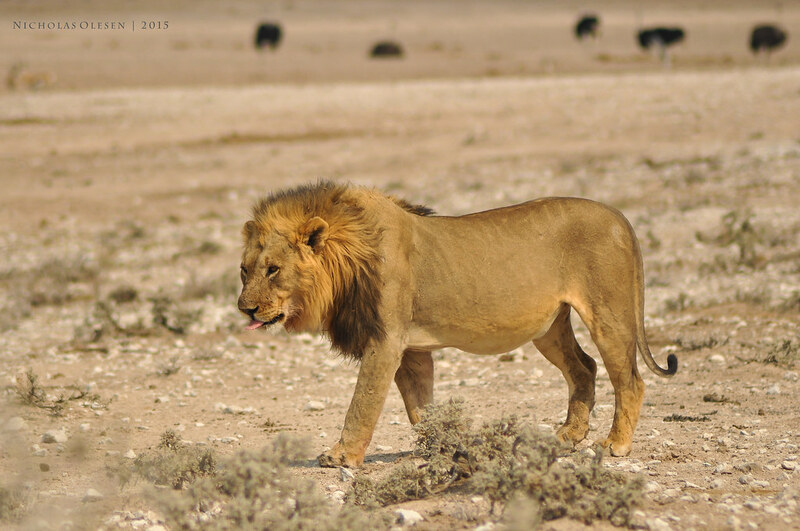 The name comes from the fact that it is located at the 45th km mark after the entrance to the Sossusvlei park. This was shot near sunset as the light turned golden, using a super wide angle Tokina lens (11-16mm).